We will promote and adopt best practice governance standards throughout the game to support cricket in making and implementing its decisions. We will be clear on each organisation's role and how we will work together to deliver this plan. ECB, Sport England, FCCs, CCBs, PCA and cricketing charities. Deliver cricket through national and local governance structures that reflect the communities they serve. Provide a platform for young players and volunteers to ensure their opinions help to shape the development of campaigns, products, programmes and resources. Contribute to the global game at ICC level and show leadership to protect, promote and develop cricket. We will use the power of cricket to make a positive difference in people's lives. Through the sharing of existing best practice we will coordinate a national delivery of programmes that will build new and lasting relationships with our local communities. Those in need of support within our communities. ECB, EWCT, MCC, FCCs, Lord's Taverners, Chance to Shine, Cricketing Trusts and Charities, NHS, Primary Care Trusts, Skills Funding Agency. Deliver a national employability programme that uses cricket's networks to support training, volunteering and apprentice opportunities for local communities. Coordinate a national programme that uses cricket to make a positive difference to the mental health, physical health and well-being of our communities. 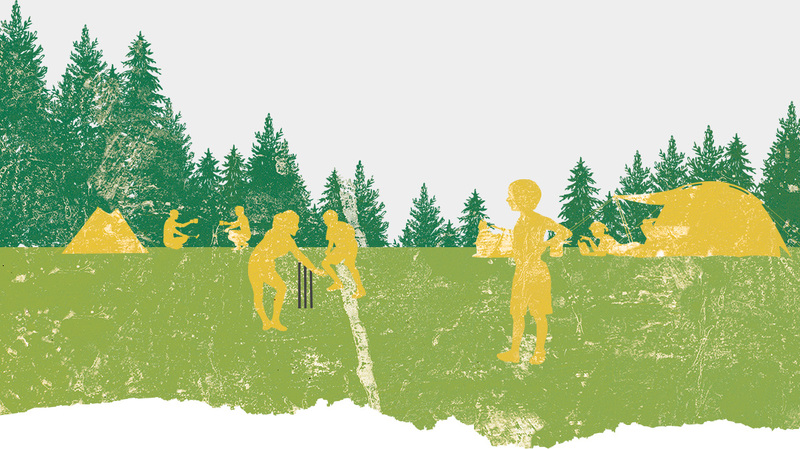 Ensure our community programmes connect where relevant with other expert local delivery agencies, reflecting and reinforcing our game-wide values and the spirit of cricket. We will work to promote environmental sustainability throughout the game. We recognise our role in society and the natural landscape and will work on reducing our impact on the environment and increasing environmental sustainability in our operations and supply chains. ECB, Sport England, FCCs, CCBs and cricketing charities. Coordinate cricket's plans for delivering environmental sustainability. Improve reporting of environmental sustainability policies supported by the positive impact of these actions. Support all our organisations to operate with minimal impact on the environment, and with the lowest practical running costs for energy, water and waste. We will connect More Play, Great Teams and Inspired Fans through collaboration at a local level to create strategies designed to deliver the national plan locally. All central funding for cricket in England and Wales will be aligned to the principles set out in this plan from 2017 onwards. ECB, the game's administrative leaders within each county. All cricket organisations within each county. Deliver a simple framework to align priorities. Clarify roles, responsibilities & capabilities throughout the game to remove duplication and unnecessary administration. Develop local plans that join up cricket organisations in that county and align game-wide funding to the successful delivery of these plans.